1.) Brightens and softens the appearance of skin. Helps skin look firmer and less transparent so discoloration and broken capillaries are less visible. 2.) 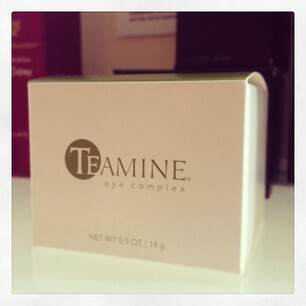 With some key blend ingredients such as aloe and green tea extract , Teamine Eye Complex reduces the appearance of puffiness and provides a more well rested appearance. 3.) The peptides in this special cream has also shown to reduce the surface area of deep wrinkles up to 42%. Purchase from us today for only $65!!!! We love this product and so do our patients!